Washington and Lee University’s Board of Trustees adopted a new strategic plan for the university at its meeting on Saturday, May 12. 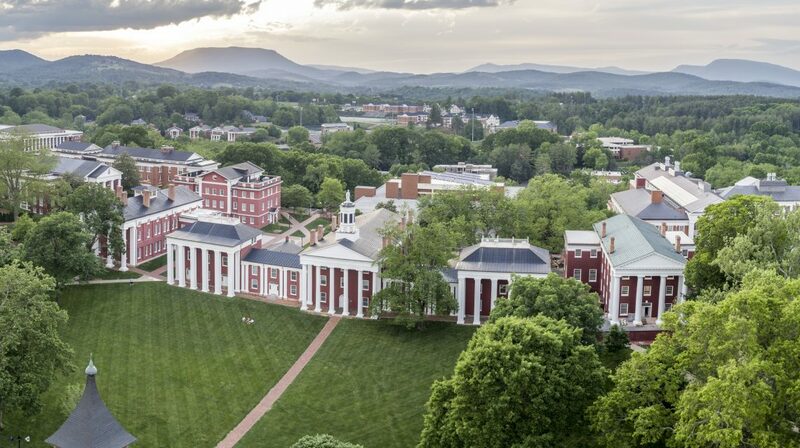 The plan calls for the university to create a more diverse and inclusive community, to build upon and strengthen W&L’s distinctive curricular structure, to continue to emphasize the institution’s historic goal of cultivating engaged citizenship, and to develop several new facilities while enhancing existing ones in support of the university’s mission. The strategic plan is the result of a more than a year of campus self-study initiated by university President William C. Dudley and co-chaired by Provost Marc Conner and Vice President of Student Affairs and Dean of Students Sidney Evans, who led the effort that included faculty, staff, students, trustees and alumni. The plan’s commitment to community includes working to increase the racial, socioeconomic, and international diversity of students, faculty and staff while supporting the success of all community members. W&L will commit to need-blind undergraduate admissions, which means the university will admit the strongest applicants regardless of family financial circumstances. In addition, the plan calls for eliminating financial barriers to curricular, co-curricular and extra-curricular participation. Additional resources will be made available to the offices of Inclusion and Engagement, Student Health and Counseling, and Career and Professional Development; athletic and recreational opportunities will be augmented; and opportunities will be increased for personal and professional development for faculty and staff. W&L will add a women’s varsity softball team, and The School of Law will develop a signature scholarship program. W&L’s distinctive curriculum, which combines the liberal arts, pre-professional education and public service, is another focus of strategic initiatives. The university will invest in its liberal arts curriculum while supporting 21st-century science teaching and research needs, strengthening interdisciplinary education, and expanding offerings for non-majors in the Williams School of Commerce, Economics, and Politics. The plan also calls for the development of an undergraduate legal studies program. The third theme of the strategic plan focuses on institutional citizenship, including initiatives focused on leadership, service and civic engagement, institutional history, and environmental stewardship. The plan calls for investment in curricular, co-curricular and extra-curricular programs that encourage students to engage, to serve and to lead; the exploration of partnerships with related museums and historical sites; and continued commitment to sustainability across the campus. Several facilities projects are included in the plan as elements of maintaining and enhancing the quality of the university’s historic campus. These include construction of a new center for the Offices of Admission and Financial Aid; expansion and revitalization of both the existing Science Center and the Williams School; the addition of rehearsal spaces for music and the arts; development of a Center for Academic Resources and Pedagogical Excellence (CARPE) in Leyburn Library; the creation of a Center for Inclusion and Engagement in Elrod Commons; and the initiation of modern campus history museum. The new plan builds on the success of the previous strategic plan, which was a blueprint for the university’s transformative, $542-million “Honor Our Past, Build Our Future” capital campaign, completed in 2015. For information on the University Strategic Planning Initiative, see go.wlu.edu/strategic-plan.